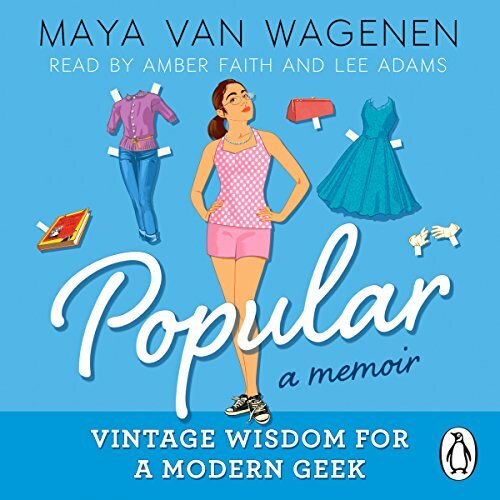 Popular: Vintage Wisdom for a Modern Geek is a touchingly honest, candidly hysterical memoir from breakout teen author Maya Van Wagenen. Stuck at the bottom of the social ladder at 'pretty much the lowest level of people at school who aren't paid to be here,' Maya Van Wagenen decided to begin a unique social experiment: Spend the school year following a 1950s popularity guide, written by former teen model Betty Cornell. Can curlers, girdles, Vaseline, and a strand of pearls help Maya on her quest to be popular? The real-life results are painful, funny, and include a wonderful and unexpected surprise - meeting and befriending Betty Cornell herself. Told with humour and grace, Maya's journey offers listeners of all ages a thoroughly contemporary example of kindness and self-confidence. What made the experience of listening to Popular: A Memoir - Vintage Wisdom for a Modern Geek the most enjoyable? It was particularly enjoyable to listen to because it was beautifully read, and was such an unusual tale. A fantastic book, I'm only sorry that I didn't have this to listen to when I was growing up.